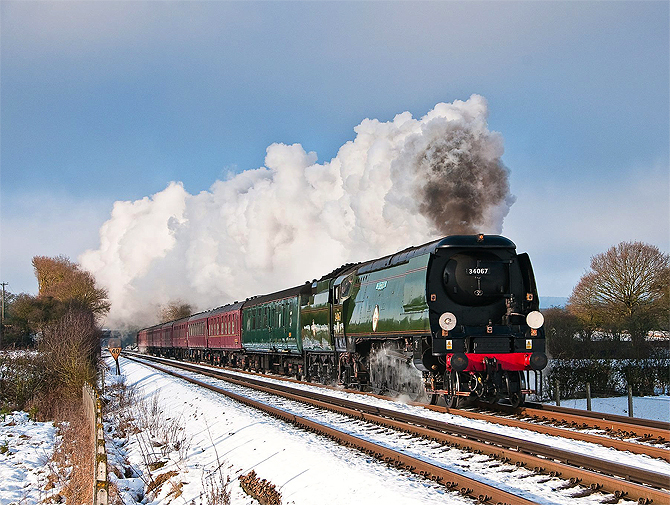 A day out on Steam Dreams ‘Cathedrals Express’ is one to be remembered. The historic carriages, the sound of the engine’s whistle and the smoke drifting past the window evoke memories of a bygone age of steam train travel. Join us on a day trip through glorious countryside to one of England’s magnificent Cathedral Cities or coastal towns, or even a steam-hauled holiday around the British Isles. Treat yourself to our Premier Dining or Pullman Style Dining tickets and dine in comfort along the way, or the on-board waiting staff can take your order from a range of hot and cold snacks.